It’s now one year since the Microsoft world has given birth to Windows 10, and a grand celebration, starting August 2, was launched to commemorate this event. All categories of windows 10 users will have a taste of the 10 new and improved features it brings to us. Linux Developers are chanting cheers to the new relationship that Microsoft attained with ‘Canonical’ (Ubuntu’s parent company). A favorite feature of this partnership will introduce the full use of Linux command line on your windows 10 PC! Computer Consultants are excited about the virtual desktop pin that gives quick and easy access to their virtual stations. No longer are we faced with that long setup and login process. 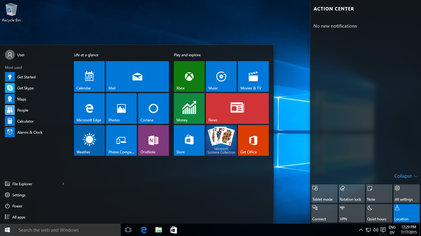 With just one click on the Windows 10 desktop we enter our virtual world. Windows 10 brought a new dark theme to satisfy those users who are in favor of that kind of interface. The new start menu navigation screen comes with a hamburger button and also your profile button is found at the button next to the power and settings buttons. The new design matches the Universal Windows platform application. Window 10 brings us to the forefront the ‘Window ink’ feature. With the new Windows Ink experience, you can simply trash your keyboard typed reminders and replaced it with your hand written notes. Sketchpad app gives us the ability to simply take a snapshot of your desktop and then use a pen to jot down notes upon it, using the new Sketchpad interface. Cortana has a new location above your lock screen so now we could activate features or apps without unlocking your device. An example of this is accessing our play list. Cortana can document and store critical information, that maybe relevant to you. It provides photographic reminders. Cortana can now interlink across all the devices you have and give you notifications / directions from text or messaging services on your phone. A little sneak peek: sticky notes will soon be smart enough to give you a reminder through Cortana. One other cool feature to expect in Windows 10 is the ability to answer your mobile phone from your computer. The birthday girl, Windows 10, is more class room friendly. It mitigates the need for any major IT supports. The three step process will allow the class room to share materials and information easier. With all these new developments, Windows 10 clocks a first time log in time of 26 seconds and 6 seconds thereafter, proving to the skeptics that her performance gets better with age. As IT Consultants, we’re always as scared as we are excited to see new, error prone features hit our Managed Service Platform. We recently had a Monday morning “before coffee call” from a local business owner. In the break and fix tech world Monday’s are always our most hectic and we welcome all potential challenges, especially those from prospective new clients. 30 seconds into our conversation I started to cancel all of my personal appointments for the day. What had happened? The business owner and his small IT infrastructure had been hit with the dreaded Crypto Virus! Their infrastructure was “everyone has full permissions on everything” and “put everything in one spot,” which left their productivity up the creek without a paddle. Now that everything was broken beyond repair, I had the perfect opportunity to advise him on the newly affordable solid state drives (SSD)! The market is at a place where there is no reason to use a hard drive (currently what the vast majority of computers are shipped with). Here is a great way to visually conceptualize how SSD drives can save your business a substantial amount of money. Let’s take a simple small office scenario. Staff is being paid $ 20 per hour and the minimum working days in 2015 are 250 days. There are dozens of variables – but our educated guess is that the average time a person sits and waits for their computer to think each day is 5 minutes. For many of you, it could be 2 minutes, or it could be 10+ minutes. Of those 5 minutes, an SSD could save you 4 of those minutes. 4 minutes * 250 days = 1000 minutes (1000/60= 16.66 hours) – That is 16.66 hours a year lost per employee at minimum of productivity. 16.66 hrs per year is spent per employee on waiting on their normal hard drives to process as compared to using SSD Drives. 16.66 hrs * $20 per hour = $333.20 per year. The labor cost in terms of cash lost based on an employee earning $20 per hour is a staggering $333.20. Imagine what 16 hours of extra work especially for a business that depends on billable labor hours to account for its own revenue translate to in terms of that business’s bottom line!! Think of the expenses that your business can cover with $333.20 of additional revenue each year. Maybe you can get that new copier or upgrade your yearly subscription on linkedin to help market your business! If your company has 10 employees “computers” as in our scenario above that would mean at the end of the year you would save $3,332, and to be honest, the number is probably higher. That is a noticeable amount that puts this chore on the radar of businesses who want to increase their bottom line, and reduce waiting anxiety in the process. If someone says to you in a year they will give you $3332 in your hand with no strings attached with no legal ramifications and will continue to give you that amount over the next 2 years would you refuse to take it? That is what you are doing not switching to SSD drives in the current market environment where the price point for these drives are the best they have ever been. Let’s consider the cost attached to transitioning your current Computer HDD to SSD drives, taking into considering that you’re current HDD are still in reasonable working condition where they can be cloned. A single SSD 850 EVO 2.5″ SATA III 250GB Drive will cost you $90. This will include tax andfree shipping to any location within the continent USA. Total cost of the acquisition of the SSD drives for 10 computers would be $900. Let’s consider the cost of installing the drives. Making the transfer should not take more than 30mins. Additionally, let’s tack on another 30 minutes per computer for all the surprises that will surely be encountered. Lets then use the rate of $85 per hour for the tech labor involved. Lets then cater for the 10 hours total of employee down time which will be $200 (20 per hour * 10). Keep in mind that most tech companies will either schedule this after business hours or during the employee lunch breaks. So this cost may not actually exist. That is a total of $1,950. It is important to remember that this $1,950 is a one off investment cost and with estimation that your SSD drives will function without issue for at least 3 years. This cost to transition will take around 7 months to show viability. To sum it all up – if you switch from a HDD to a SSD you will have a reliable, faster working storage device which increasing productivity and reduces the headache, all while and putting money back into your pocket. Can you afford not to switch to SSD? If you think you are ready to upgrade to a Solid State Drive, contact us . We are happy to guide you through the process and recommending the best one for you. SSDs: Why now is good time to switch to SSD Drives. Hard Disk Drives (HDD) functions as the heart of your computer. Just like a human heart if your HDD cannot process and pump data around your computer in a smooth and methodical way you the user will suffer from a poor computer user experience. Unlike the heart though the faster your hard drive can process that data the better. When it comes to speed and the cost associated with drives in 2015 we need to assess the importance of each of these factors to the final decision a business owner will make when determining the best choose of drive type for their business’s operation needs. SSD’s are a lot faster at storing, retrieving and moving data. But how much faster are we talking? In comparison we will use a standard consumer-grad SSD vs. a consumer grade HDD 7,200 RPM (RPM means Revolutions per minute. The magnetic discs in a HDD has to rotate so the arm can read the information stored within it. HDD have mechanical moving parts, SSD has no moving parts). Typical HDD can stored information (read/write) at 100-160 Megabytes per Second. While a SSD with the same storage capacity can do the same at a rate of 300-500 Megabytes per Second. That is almost a 200% faster rate the SSD have over a HDD of the same storage capacity. That means data moves “copy and paste”, data backup to the cloud, CAD Designing, editing large databases, using video editing software , viewing your photo collection or playing that latest computer games can be done at almost 200 times faster with a SSD as compared to a HDD. Start-up speed is slower for HDDs than SSDs because of the spinning magnetic plates and the mechanical arm. IOPS (Input/output Operations per Second) is a measurement of the read/write speeds of drives. SSD have a very high read/write speed. – A drive with higher IOPS numbers is more responsive and multitasks better. That is you’ll be able to do a virus scan, download large files, play a movie and open maybe 15 web browser windows all at the same time without hiccups. A typical HDD takes around 35-45 seconds to boot up your operating system. A SSD takes around 10-15 seconds of boot time. In retrospect you are saving an average of 25 seconds per every minute when working on a computer with a SSD as compared to a HDD. Think about the profit gained from getting back all those times spent. Especially if you are working in an environment that pays by the hour. There isn’t any competition here – The Non SSD-hard disk drives are beaten by an impossible margin. If you multitask heavily or working in an environment with lots of background programs like antivirus, firewall, torrents, and instant messengers, then this is one really good reason to think about SSD’s. Lower capacity SSDs can be very affordable in the 128GB to 500GB range (at the time of writing this article). Higher capacity SSDs can be costly, especially when measured over cost per gigabyte. Or Especially on Servers. However, HDD provide the minimum price per gigabyte. SSD provide a price per gigabyte that is higher than HDD. In comparison though, a HDD with 1TB storage capacity will at most times will be a waste of storage space. Most users do not fully utilize the 1TB capacity and files are usually spread across different cylinders on a HDD. A typical Samsung SSD cost US $0.47 per GB. And a HD will cost you around US $0.04 per GB As of June 2015). However, a typical 250GB SSD though it may cost more will give you more in the long run as compared to a 1TB HDD. It is fast, more efficient, gives you better boot time, and saves a considerable amount of time as compared to waiting on a HDD. A 1TB HDD will cost you around US $50 and a Samsung 250GB will cost you US $85. But can you put a price on reliability?? You can save an average of 25 seconds per every minute on working with a SSD than compared to a HDD. A SSD also uses less power. Since they are no moving parts in a SSD as compared to a HDD, you have a lower power consumption rate on a SSD. This means a SSD can boost the battery life of your portable computer by an average of one hour. Can you afford not to purchase a SSD? SSD’s provide significant benefits over a hard drives, whether you’re restoring an old laptop or trying to amplify the potential of the latest desktop. From a business productivity and data security standpoint the time saved on a daily bases outweighs the extra cost involved in the initial purchase of the new SSD Drive. SSDs are the decisive way to know and feel the difference in your everyday computing performance. SSD are faster, they have 100 times better performance, instantaneous data access, faster boot ups, greater file transfers speed, and an overall greater computing experience. SSD are cooler and quieter. Creating a backup of your precious files is pivotal. It lessens the risk that you’ll lose your important documents, baby’s pictures and school work in case of theft, file corruption and or hard drive failures. Backing up files and photos is not that difficult, but with several different ways to do it, it can be abit complicated to get started. We at Lenitytech will show you the basics on the varied options you have to back up your files and tips to make the process simpler. Get in the mode of backing up files on a routine basis, whether its every week or month or whenever you get important documents worth keeping.. Also, be cautious that physical storage peripherals, like hard discs and flash drives can break down at any time. You may need to substitute the old ones with new ones after several years or so to guarantee they don’t fail, destroying your files in the process. An external hard drive (HDD) is a physical and portable storage device that can be connected to a computer through a USB connection. External hard drives customarily have high storage volumes and are often used to back up computers or provision as a network drive. However, hard drives can fail at any moment, for many reasons. Ultimately you may plug in your drive and it won’t work, which means you will not be able to access the files you have stored on it. It is rare for a new hard drive to fail completely, and most drives can last years before needing to be replaced, but just keep in mind that failures can happen at any time. Some external hard drives have a rugged, waterproof or fireproof case and they’re worth buying, if the need arises. Flash drives (called thumb drives) are tiny, portable drives, often not longer than a piece of gum. They come in a variety of designs, from plain colored sticks to unique characters, and most can be attached to a keychain. This method is very similar to the first one, but uses flash memory instead. Flash memory is basically a disc that can be erased and reused easily. A flash drive can be connected to your computer through the USB port, which then you can copy or drag and drop files onto it. Once removed, those files will be stored on the flash’s memory until you delete it. Flash drives also can break down overtime, fail or become corrupted, making them useless. You would not be able to access your files if that happens. It’s not likely that a new flash drive will flop immediately, but it can happen. Cloud storage is model where you can store files from your computer to a server in a data center, far from your home or work. A storage company uses those servers to offer a certain amount of space that you typically rent to store your files. Same way a physical storage structure works. 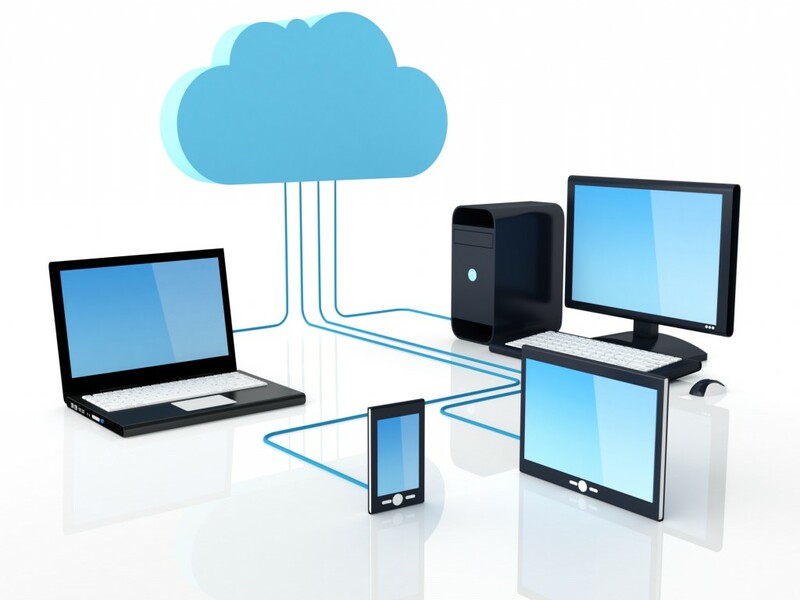 Once you have a cloud storage service, you can transfer your files with a desktop application or from the company website thru the Internet; you can also view, edit and remove files stored in your cloud storage account at anytime, from any device, whether it’s a computer or a mobile device. You can transfer files back onto your computer also. Although cloud storage is an excellent backup option, there are a few risks. Cloud storage services can be and have been hacked. Another risk is if the cloud storage company shuts down operations for whatever reason, you won’t be able to access any of the files you’ve stored in your account. Office 2016 has arrived for Windows and the software is big upgrade to the preceding versions of Microsoft’s productivity suite. If you’re craving to use the many features available, they are possible now, but most important, you have to consider which option you will use to acquire the new Office 2016. Long gone are the agonies of lining up and buying a box of CDs at the store — today, subscriptions are on par, but they’re not the only way to buy. Because of that, you get several ways to get Office 2016, and you’ll be pardoned if you don’t know which one to pick. And if you know Microsoft well, you will know they do not make it easy for you to know the differences between your choices. To make the outcome a tad-bit easier, this guide will go over three distinct ways to use Office and what you get with each selection. 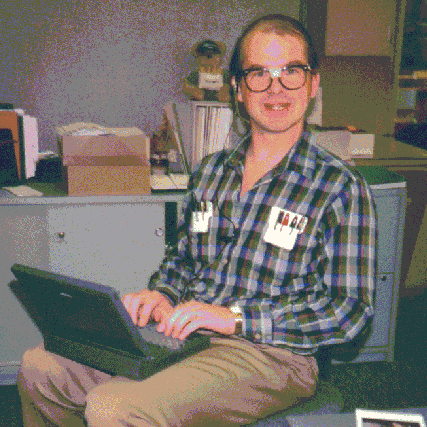 Office.com delivers — upaid, but fairly reserved, online variants of Word, Excel, PowerPoint, Outlook and other tools. Since 2010, the website has generally flown under the radar, eclipse by the easily accessible desktop versions of the Office suite. All you need to use it is a free Microsoft account, if you already use any Microsoft product like Skype, OneDrive, Xbox Live — you already have a Microsoft account. Office 365 is a monthly or yearly membership subscription that gets you the complete desktop versions of Office, pluscloud storage with One Drive, email with Outlook, and a bunch of other extras. With Office 2016, the full suite includes new sharing features that lets you work in-sync with others in real-time, integrated with messaging app Skype, a tool that uses the search engine Bing to assist with your research while you’re working and more. The better and alluring reason to get a subscription is that you’ll always get new versions of Office 2016 when they are released by Microsoft. The uttermost option is to buy a single copy of Office 2016 outright, with the purchase; you get just Office 2016 for PC or Mac, with whichever features are applicable as of September 22, 2015. If Microsoft releases additional features to Office, the version you get with a one-time purchase will not be updated. The only updates that will be made obtainable with a onetime purchase — are mainly for stability and security purposes. This will ensure your software is protected and keeps working as it should. When a new version of Office is released, you’ll need to pay to upgrade. Online backup services are the reliable way to go, especially if you are dealing with large volumes of business data on a daily basis. In the present scene, smart and effective data backup solutions are being offered at no cost by certain sites like Google Drive; with others offering managed data backup services for a small fee. Read on for a closer look at the right ways of storing your data files online. Websites offering online file backup systems copy your valuable data automatically, whenever you are in an internet coverage area. The files and all other digital content stored on your hard disk are then transferred to an off-site data center or a secure location in a hassle free way. With the services of a reliable provider in place, you can access your documents, music, videos, and other files when connected to the Internet. After backing up your data, you may rest assured that the same is safe, secure, and readily available at all times, and from anywhere. Reputed names offering cheap backup services include ADrive, Google Apps, Mozy, Amazon S3, Zoho, Dropbox, Carbonite, Media Pro, Box.net, Flickr, and a lot more! The limitless possibilities in this field are dependent on the purchased data storage space, type of account, and immediate needs. You just have to remember your password! Your act of considering an online data backup service places you in an advantageous position right away. It proves that you are totally aware of the value of irreplaceable data and files. So, say “yes” to Cloud computing or other ways of backing up your data via expert hands—you will not be disappointed! Computer networks, an integral and indispensible part of any contemporary business environment, sets the platform for easy communications, sharing of files, effective collaboration, as well as reliable business and IT support for dealing with all kinds of business circumstances successfully. However, as with all other IT systems, hardware and peripherals, networks are vulnerable in nature and may lead to serious complications if thrown out of gear. Read on for how professional network support service providers help in taking care of disturbed connections, correct implementation of wireless networks, and trusted security over networks at offices and homes alike. Companies providing services linked to network design and security, hire qualified engineers and experienced technicians that are skilled to address all kinds of network related issues. 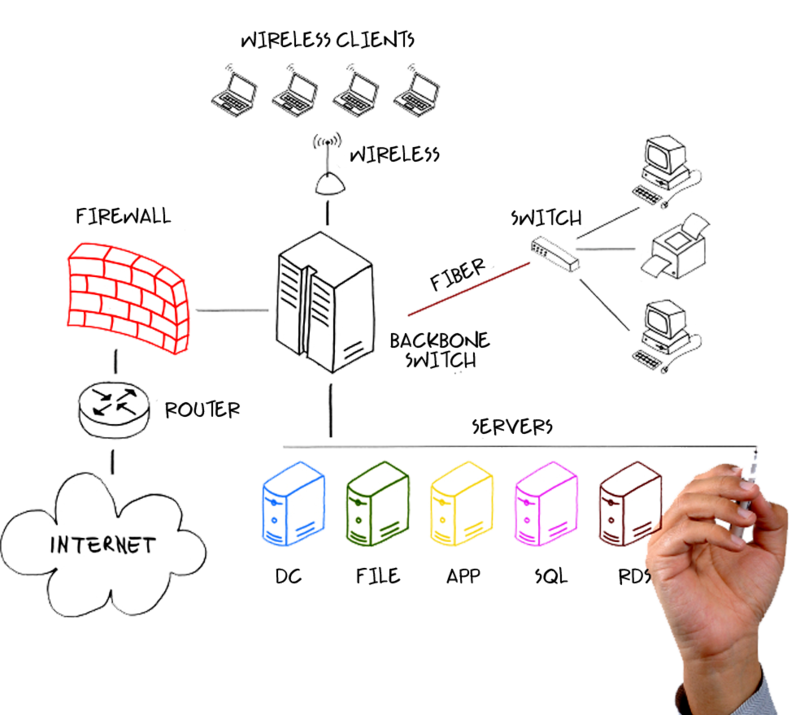 Network security providers are available 24/7, 7 days a week, 365 days a year. They work under tight schedules and have trained technicians on call to take care of any issue with your network, and on an urgent basis. Managed network support service companies are quite conscious about the standards of service delivery and ensure reliable solutions to bring your network and server operations back on track. Online support services for networks provide reliable, speedy, efficient, and effective services at the most affordable costs. The cost effectiveness of these managed services lead to better bottom line figures and enhanced productivity at all times. So, accept the online influence of these service providers and look forward to strong business server support at all times! As a small business owner looking towards gaining a strong competitive edge, you need to ensure that your application server system is up and running at all times. To this end, you need to avail reliable business server support to help you reduce overall server operation costs, increase the overall availability of application servers, bring improvements in data security, and increase the levels of flexibility offered by the same. Why do you need Small Business Server Managed Support? Along with ensuring that your server software remains updated and properly protected, companies providing small business server support go a long way in helping you save money and time. They also suggest the best way forward for improving upon systems performance and avoiding any systems downtime. How to Choose a Server Management Services Provider? When choosing a provider for managing your server, it is important to ensure that the company offers high quality services, good value for your investments, and reliable returns. Instead of signing up with a server management provider who offers cheap rates that may lead to multiple technical problems at a later stage, its best to hire the services of a sever support company that gives you access to quality server hardware for monitoring your business systems. The network connectivity provided by this external server support provider must be consistent, fast and secure, especially if you have other users sharing your server bandwidth. Once you have access to a reputed small business managed server support firm, ensure that it boasts of highly trained administrators, good customer support, and the necessary skills to offer top quality services at competitive prices. Is Outsourcing of Desktop Support Services the Right Decision for You? The act of leading an organization that boasts of a sizable workforce and maintaining workstations in their peak performance conditions, proves to be a cumbersome task for internal IT support teams. Along with locking in resources and increasing costs of operations, improper handling of internal desktop support systems may lead to reduced productivity and grave losses. The same applies to your organization too! Read on for how a desktop support specialist leads to desirable cost savings and high profits in an organization. A service contract with a managed desktop support services firm helps you enjoy the expertise of qualified, certified professionals. They give instant support when required, and boast of years of experience in their operations. These experts supplement your existing IT support teams and provide effective solutions to all those problems that may leave your technicians baffled and asking for more. By hiring the services of a third party desktop support team, you may look forward to consistent help, 365 days a year, 7 days a week, and 24 hours a day. All you need to do is get in touch with their representatives, and your issues will be resolved at the earliest. Most external IT support firms offer remote desktop support and seldom visit your premises to solve small problems. However, they make sure that your problems are addressed with the lowest possible downtime, as well as significantly lower fees. They ensure a boost in the productivity levels of your employees, while keeping your overall budget within acceptable limits. It may be possible to have your internal IT support team close at call when you need them the most. But then, this is not a problem with external desktop support teams that offer the excellent services of a highly specialized workforce, and at all times. So, instead of waiting any longer, get in touch with your preferred computer, desktop and IT systems services firm—today! As a business owner, you are obviously looking for better and more effective means of saving on costs related to maintaining and managing your IT systems. 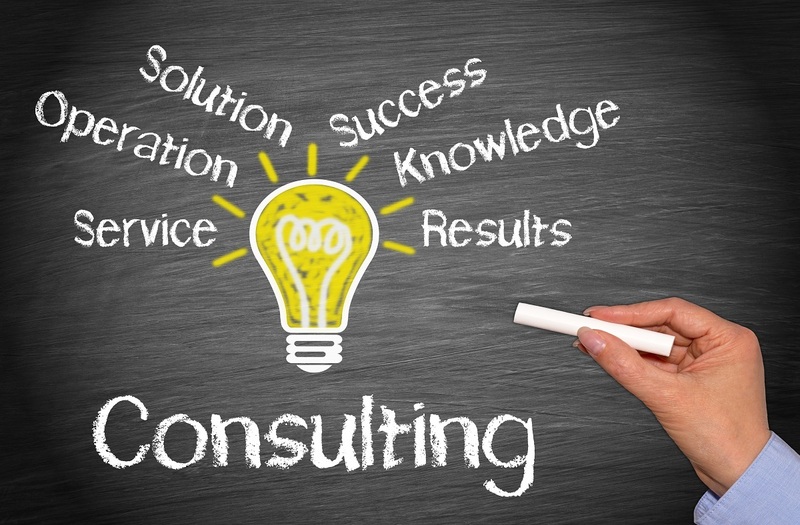 This is where you need to hire the experience and expertise of professionals linked to IT consulting firms. They are equipped with the latest tools and techniques for fixing computer, network and peripherals related problems, and go a long way in making your operations smoother. Enhanced efficiency in IT business operations: Computers and networks are indispensible in modern day work environments. Most businesses, regardless of their size and volumes of operations, are dependent on the smooth functioning of their IT infrastructural capabilities. Experienced IT technicians come in handy when it becomes important to fix these problems in time and via reliable ways.. Contemporary businesses rely on IT systems to deliver a large percentage of their services. For example, e-commerce businesses market their products and services online. Web development and design services are essential for them, as without the same, they fail to disseminate information or sell their products and services. Hence, there exists an urgent need of hiring an IT consulting company for bringing about improvements in service delivery and offering the much needed competitive advantage. Failures in business IT system lead to grave monetary and other losses. The reason being that all communication between customers/clients and a business are cut off if the network system ceases to function properly; which in turn leads to the former deflecting to competitor companies for services or products. Modern businesses connect with reputed IT consulting firms to make sure that their IT services are provided consistently and without any glitches. Put your mind totally at ease, get in touch with your preferred IT consulting firm today.